Campaigns of World War II: Fall of the Reich is a military history of the Western European campaign from D-Day in June 1944 to the fall of Berlin in May 1945. Beginning with the Allied preparations for what would become Operation Overlord, from the initial discussions of Roosevelt and Churchill, to the deliberations and plans of Marshall and Brooke, and the subsequent appointment of commanders like Eisenhower, Montgomery and Ramsay, the book covers in detail the landings on the Normandy coast. 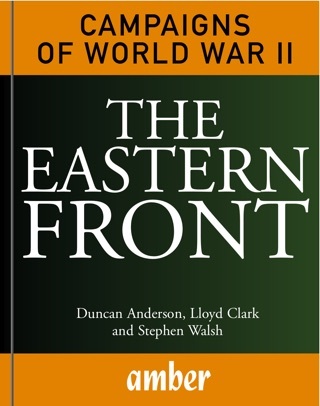 Combining tactical coverage of events such as the severe fighting at Omaha and Pegasus Bridge, the Canadian success on Juno beach, and the 21st Panzer Division's aborted counterattack, with reporting of the reactions of Hitler and Rommel to the landings, the book provides an explanation of why the Allied advance ran out of steam, and a description of their struggle to escape the bocage hedgerows of Normandy. The US-led breakout in late July 1944 released Bradley and Patton's forces into the heart of France, and the liberation of Paris followed swiftly. A crumbling German defence led to Allied overconfidence and the resultant 'bridge too far' at Arnhem, but as the Allies approached the Rhine and the German border, resistance quickly stiffened. Hitler's last gamble, the attack through the Ardennes known as the Battle of the Bulge, brought temporary panic to the Allied ranks, but heroic stands at Bastogne and elsewhere, coupled with a German acute lack of petrol and the weather clearing to allow Allied aircraft to operate again, led to the defeat of the last Wehrmacht attack in the west. The final year of the war saw the Allies advancing as occupying forces into the heart of Germany, adopting Eisenhower's broad front strategy. Finally the book examines why the decision was made to allow the Red Army to occupy Berlin and remain on the western bank of the Elbe river. 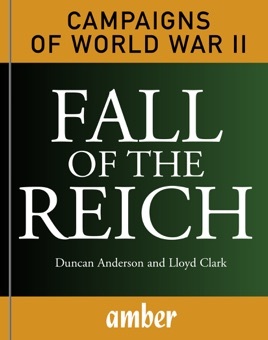 Part of a five-volume series on the Second World War written by prominent military historians, Fall of the Reich is a masterful account of the 1944–45 campaign in Western Europe that describes both the action on the front line and the decisions made behind the scenes that decided the fate of Nazi Germany.